A meeting is scheduled between U.S. House Appropriations Committee members and the Homeland Security Subcommittee to talk DACA and immigration reform — this as the clock continues to tick on a replacement program to protect more than 700,000 undocumented people from deportation. 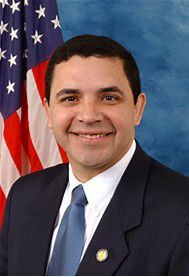 U.S. Rep. Henry Cuellar, D-Laredo, will represent the Rio Grande Valley region as one of the few Democrats from the House to attend the bipartisan meeting Tuesday, which is designed to further talks in a replacement program for the now-rescinded Deferred Action for Childhood Arrivals program — or DACA — that protected several thousands from deportations. Among the list of issues delaying an agreement on a DACA replacement is GOP insistence, promulgated by the Trump Administration, that a physical border wall along the U.S.-Mexico border must be funded. Democrats have been critical of as much, referring to such a deal for the undocumented youth — often referred to as Dreamers — as a means of using a replacement program as leverage for border wall funding. In a prepared statement, Cuellar announced his scheduled attendance at the bipartisan meeting.